Curl under soft caresses of sun rays and nod off to sounds of swaying palm fronds as you begin days on the legendary island with sun-kissed afternoons promising lively frolics alongside sprawling pools, snaking furtive ways around lush green turfs and dappled canopies of towering trees. Guests looking for a refreshing break from the holiday blitz can opt to cavort under the majestic shadow of waterfall vistas replaying scenes of jungle book stories complete with cascading waters, fern shrubs, and a waterslide; or opt for livelier splash-abouts in the hotel’s accompanying mini water theme park. Alcoholic concoctions relieve parched throats at the poolside bars with traditional attap awnings. Dine on local and Western cuisine made available at the hotel’s in-house Laguna Restaurant, with specialties comprised of fusion eats during daytime dining periods and East-meets-West culinary variety over evening dinners. While away the wear from exhausting excursions at your host’s Sari Dewi Spa centre, offering therapeutic body massage treatments available as private roomed sessions or as restful outdoor stints under palm fronds. Taking its inspiration from both the earth and skies, the name ‘Langkawi’ is commonly thought to have arisen due to the profusion of Lang Merah eagles on the island, along with the abundance of marble – kawi in Sanskrit – found within its confines. Having come under both British and Thai rule during its lifetime, the influences of the latter remain apparent in both the local culture, and the cuisine that feeds it. The post-war era saw an influx of pirate activity, with the archipelago’s dense foliage providing nooks and crannies with which to seek refuge. Legs aside, wanderers traverse the circumference of the island via bicycles, taxis, rented cars, and the occasional water buffalo – emblematic of the idyllic village life that juxtaposes itself against the urban façade of tourist-laden sites. Shopping malls abound in Kuah, amongst other destinations, with the establishment of Langkawi’s duty-free status in 1987. Cable car rides proffer a glimpse of murky jungles and cascading waterfalls like the Telaga Tujuh in Gunung Mat Cincang, along with the chance to observe a menagerie of flora and fauna within the confines of the UNESCO-declared Geopark, where Palaeozoic sedimentary sequences reveal themselves amongst the agglomeration of mangroves, tidal flats, and estuaries. Amateur historians revel in the Makam Mahsuri, the tomb of a maiden who cursed the island for seven generations after being executed for infidelity. Evidence of the malediction is said to lie in Padang Matsirat, where burnt grains of rice still reside almost two hundred years after angry villagers led a revolt against the Siamese. Less malicious locales allure from afar; waves ebbing like a heartbeat against the dazzling sands of Pantai Cenang, Pantai Kok, and Pantai Tengah. Infinity pool, Crystal pool, Jacuzzi, and baby pool. Ride the Storm Rider, Lupe’s Adventure Roller Coaster, Cliff Racer, and Tube Raiders at the amusement and water theme park. Visit the Tin Valley and Tiger Valley, with tiger feeding shows available from 3pm onwards. Morning mists delicately veil views of ancient limestone hills that line the horizons of the hotel situated within the Lost World of Tambun Theme Park. 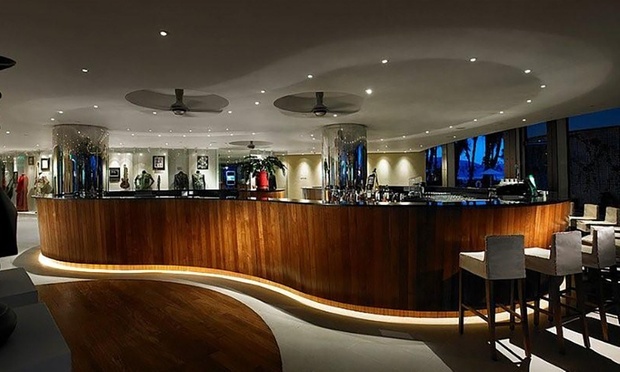 Warm lights soak the Exotic Rooms in a calming glow with modern amenities that complement the contemporary room design. 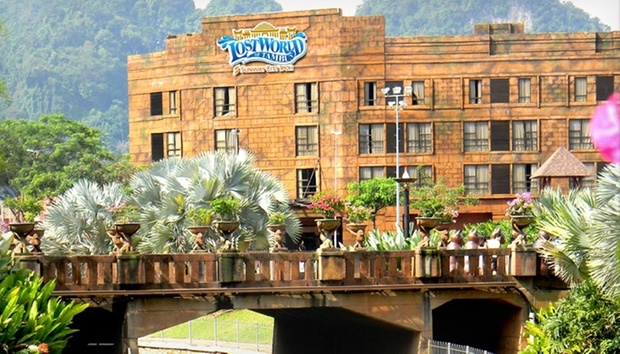 Enjoy a day out with various attractions and rides in the Lost World of Tambun Theme Park before retreating to the crystal spa or immersing in the gleaming waters of the natural mineral hot springs and infinity pool. Rooms with signature Sleep Like a Rock bed with 300-thread count linen, blockbuster movies in HD, rain shower, and view of the sea. 26,000 sqft free-form outdoor pool with sand islands, water slides, and poolside cabanas. 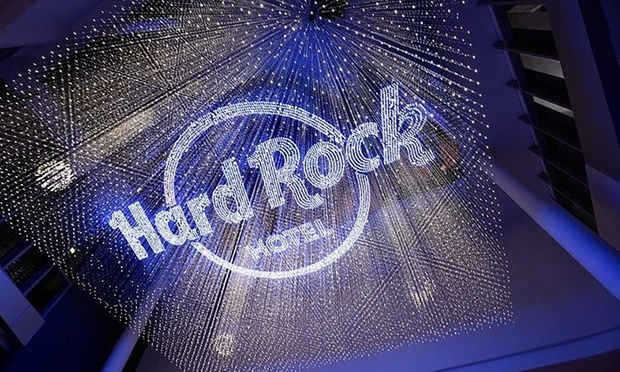 Shop for rock and roll merchandise, dine on all-American fare at Hard Rock Cafe with live band performances, and get a Hard Rock massage at the spa. 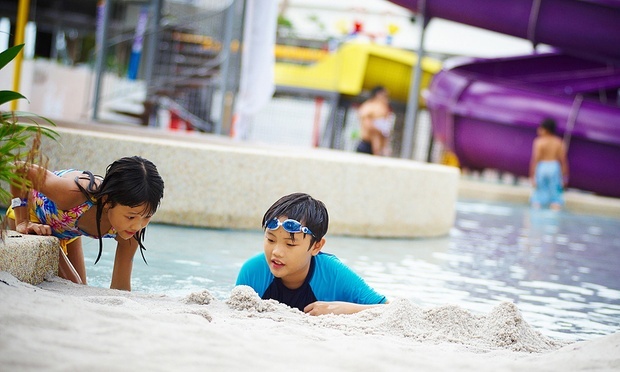 Travellers’ Choice’ 2015 Winner for ‘Top 10 Hotels for Families in Malaysia’. Instalment plan available from RM15.19 per week onwards. Click here to see our FAQ. 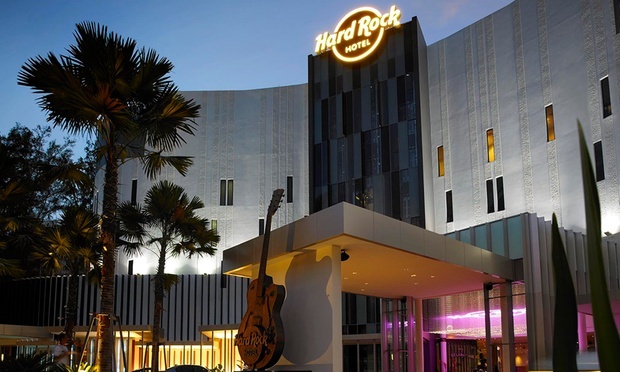 Located on Batu Ferringhi Beach fronting the sea, the rock and roll themed hotel that is part of a global chain presents travellers with a stay that combines relaxation, indulgence, and fun. 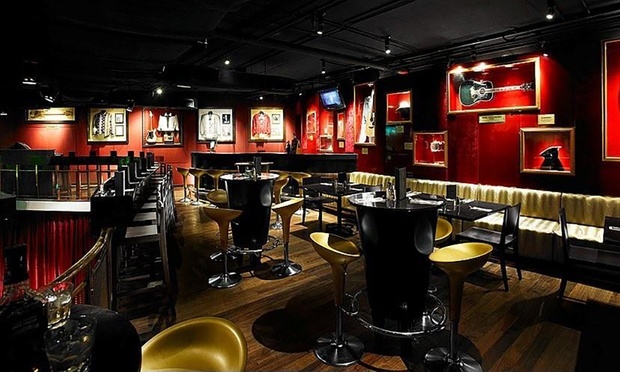 Journey through rock music history to its origin in the 1950s as you walk past walls adorned with memorabilia, photos, and icons like Jon Bon Jovi, Slash, and The Rolling Stones. 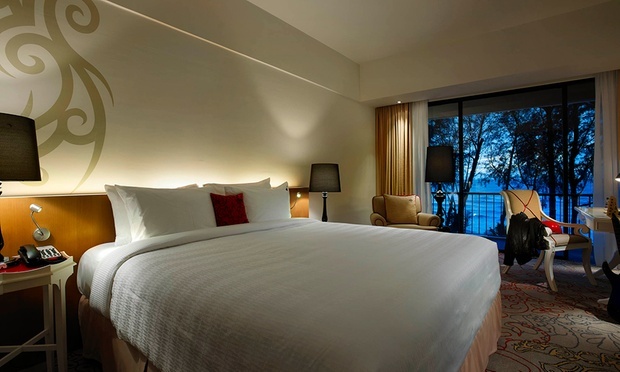 Doze off on the signature Sleep Like a Rock bed swathed with 300-thread count linen, watch a blockbuster movie on the 32-inch television in HD, or enjoy the breeze from your seaview balcony. A 26,000 square feet pool with water slides and sand islands provide fun in the sun while fitness buffs can workout at the poolside gym. 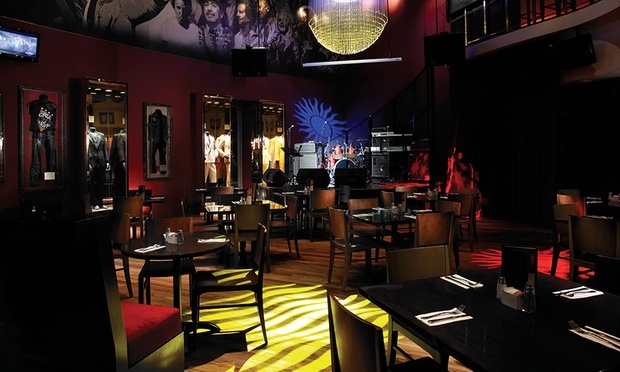 Dine on all-American fare at Hard Rock Cafe like nachos, fajitas, and burgers, and hum along to rock tunes and live band performances throughout the night. Before the slew of awards as one of the top culinary spots in the world, one of the most compelling destinations as voted in the NY Times, and being the home of foods worth travelling the world to gorge on, the little island of betel nut palms was the Malay peninsula-s -convenient magazine for trade-. Standing proud as one-half of the nation-s only historical cities (alongside Malacca) recognised as a UNESCO World Heritage Site, Georgetown was named after King George III, and is the country-s oldest colonial settlement and the Federation of Malaya-s second city only after Singapore. Embodying all things Penang-nite, the state-s capital is treasured by her people for her heritage and old-world charm. Follow the Heritage Trail walks which take you past the iconic landmarks like Fort Cornwallis, which comes with her own 17th-century Dutch cannon and the cultural-crossroads of the Street of Harmony where the many major religions strive side-by-side, before ending your tour at the Penang Ferry Terminal, where a return ride to mainland Butterworth gives you a view of a metropolis floating on water. The island-s most famous beach destination, Batu Feringghi is known for her Hard Rock Hotel luxury resort, clusters of para-gliders and windsurfers, and the plentiful stalls of the night market. 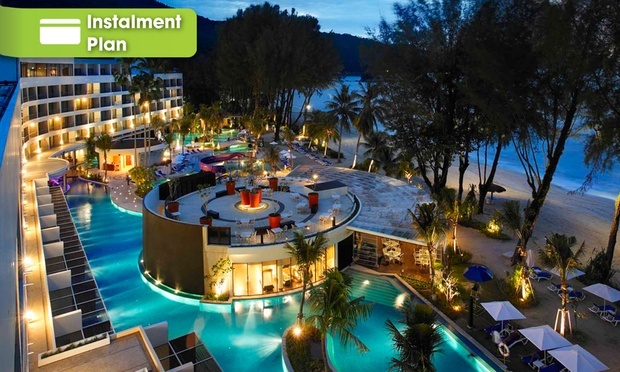 A coastal heaven which shines with her string of international resorts and sun-worshippers by day, Georgetown-s north-western neighbour transforms into a carnival of lively haggling and colourful exhibits as the sun sets. Surviving the 2004 tsunami waves in form and name, Feringghi-s shores return with her clutches of sun-frolickers on beach buggies and jet-skiers, as well as the odd tanning bodies or two. 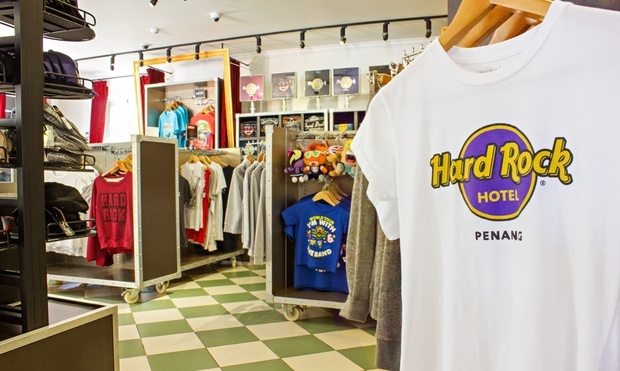 Then, find a souvenir worthy of a Malaysian night market at the Jalan Batu Ferringhi pasar malam as you polish off your skills in running down prices off imitation handbags, t-shirts, and local artwork. Then, chart your discovery of Penang cuisine as you drive down -The New Esplanade- of Gurney Drive, the island-s celebrated seafront promenade. Spoken in the same breath as -hawker food- and -dining by the sea-, the local-s Persiaran Gurney may intimidate with her handful of fancy skyscrapers and luxury homes, but as you stroll past the high-rise developments and five-star hotels, a rewarding alfresco fare of char kway teow, assam laksa and lok lok awaits. Welcoming the groups of families on a quiet evening out, or the young partiers off for a night in the city, the mobile stall providers open till late and cleverly combine the experience of an authentic Malaysian eat-out with the soothing sensation of a beach getaway. Max. 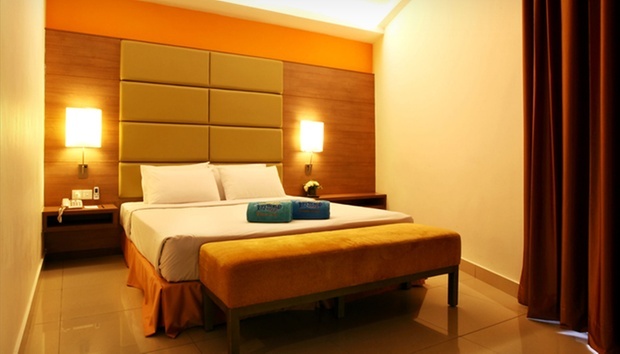 occupancy: 2 adults and 2 children aged 5 and below per room. 3rd guest aged 6 and above subject to additional charges. 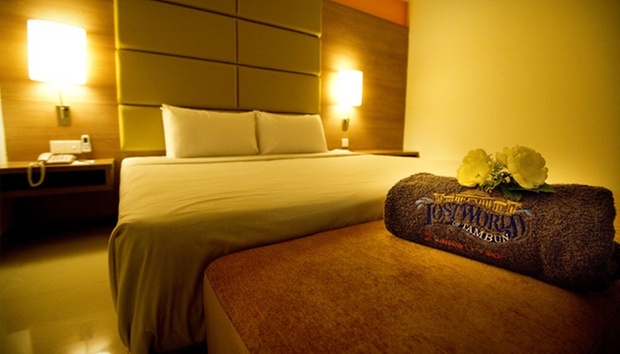 Extra bed for guest aged 6 and above: RM130 per person per night.